Looking for a unique gift for the christening of a special little boy? 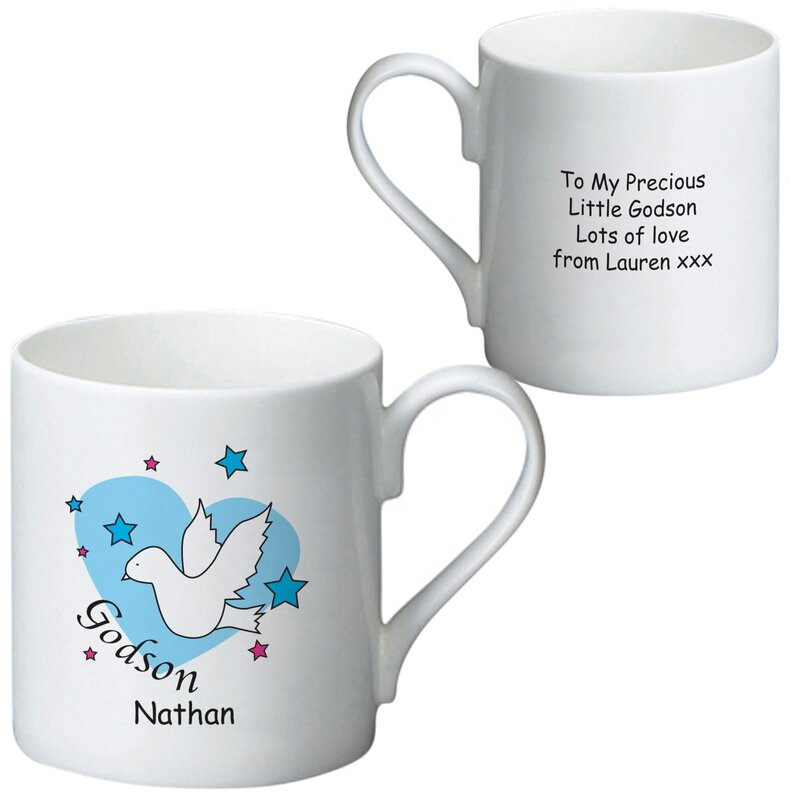 A cute blue heart design with a peaceful dove decorates one side of this cute mug, whilst your message to the recipient adorns the other, making this a bespoke gift for the special occasion. This round keepsake is a unique way for guests to give a special little boy something to cherish when he’s all grown up.